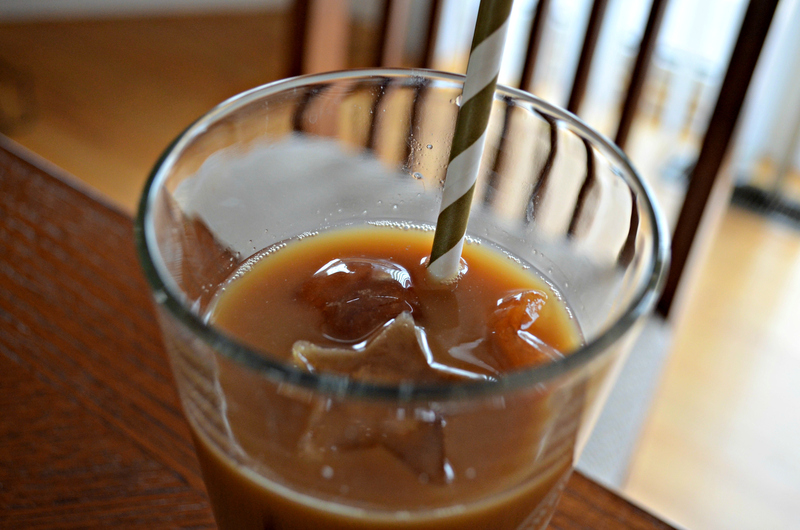 Iced coffee is truly my guilty pleasure and now that temperatures are starting to finally get warmer, I am embracing every opportunity for a refreshing and creamy iced coffee. Ahhhhh. For some reason, retail stores think it’s OK to charge $4 for a simple iced coffee and I always cringe when buying one. 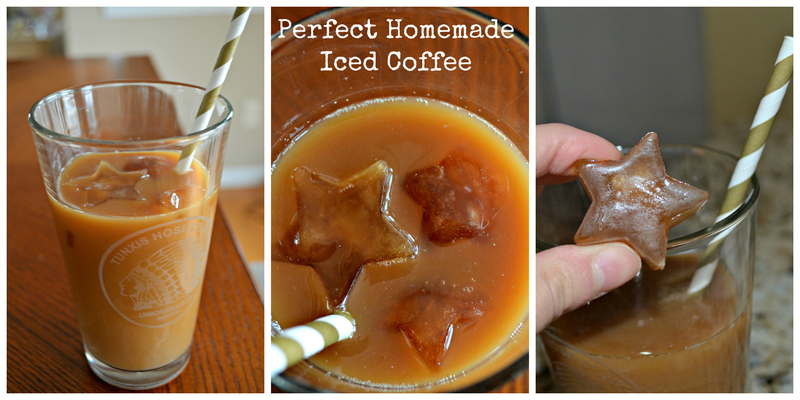 This iced coffee recipe is perfection and will be sure to make your taste buds and wallet happy all through spring & summer cold coffee cravings! 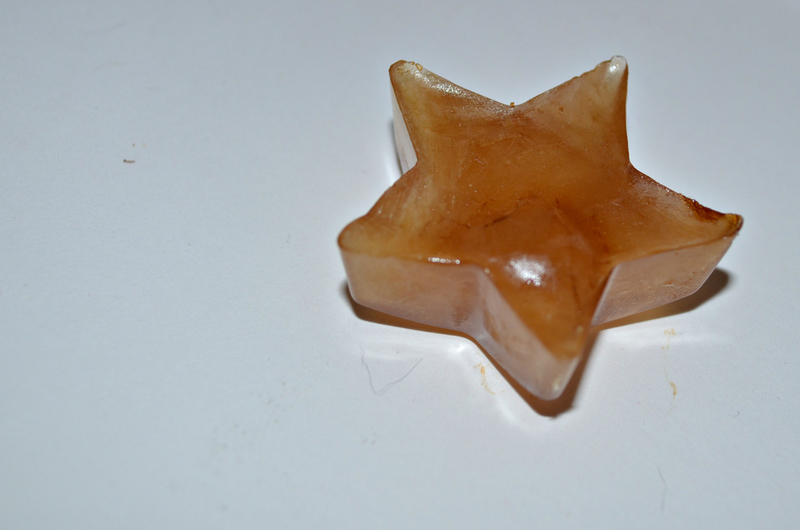 My personal secret is to freeze some coffee into ice cubes so your iced coffee is never watered down. You’re welcome. You can use a Kuerig (or any other single server coffee-maker) or traditional coffee pot if you want to make more than a single serving. I use my Kuerig since I am usually making just a cup for myself. However, the wonderful thing about iced coffee is since it’s refrigerated, you can make it for the whole week without it getting stale-tasting. 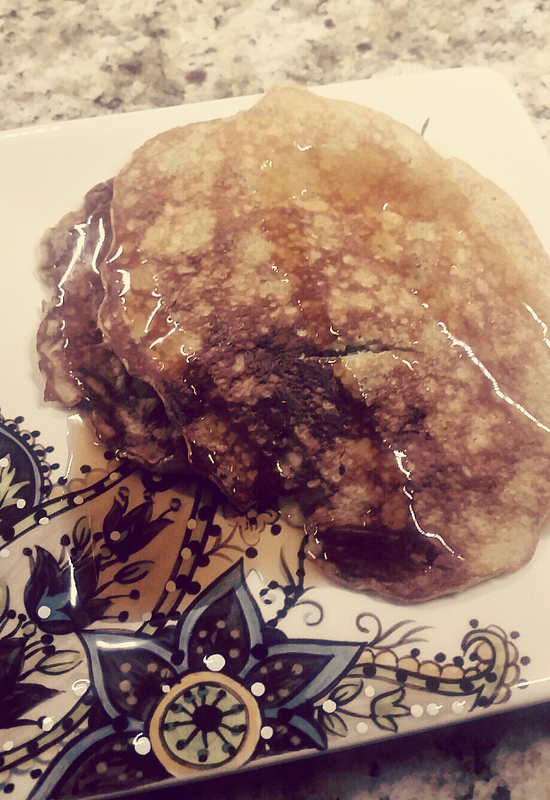 Directions: Place desired amount sugar (or any sweetener you like) in cup first. This way the coffee will melt the sugar & won’t be “crunchy” when you sip (one of my pet-peeves). 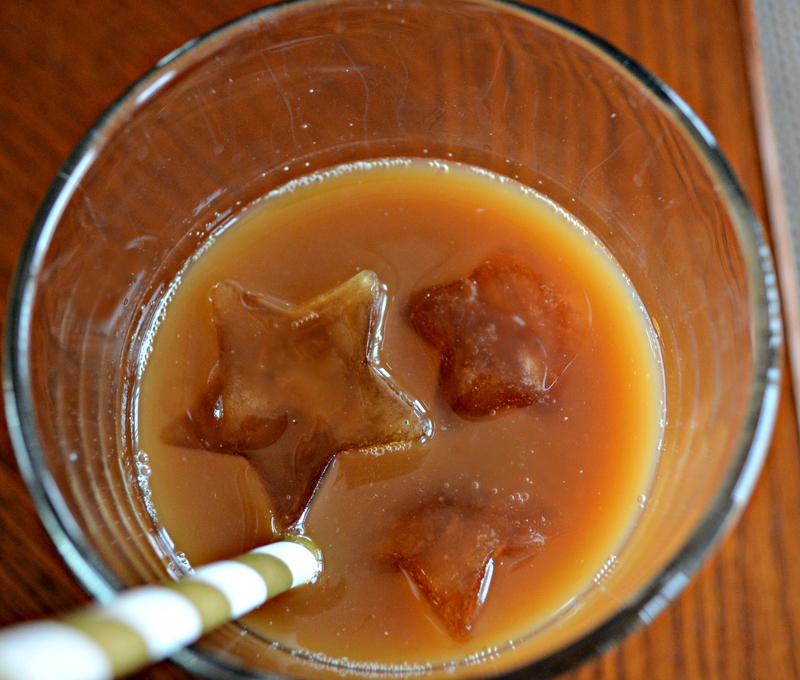 Brew your coffee as directed and make a little extra coffee for your “coffee ice cubes.” Once brewed, put coffee in large mason jar and let sit to cool. 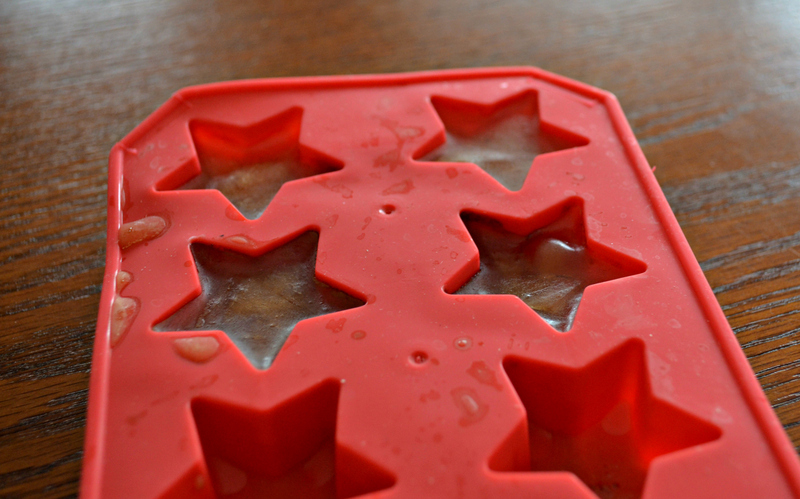 If you have time, refrigerate for about 10-15 minutes and if not, add cold milk or creamer and serve over the coffee ice cubes. 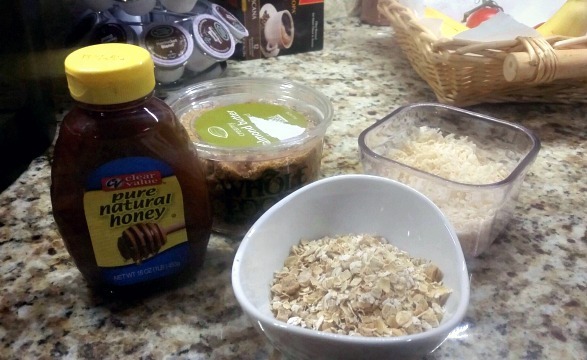 I usually try to make a big batch of this overnight so it’s cold & ready for the morning. Mash ripe banana well, add in whisk eggs. 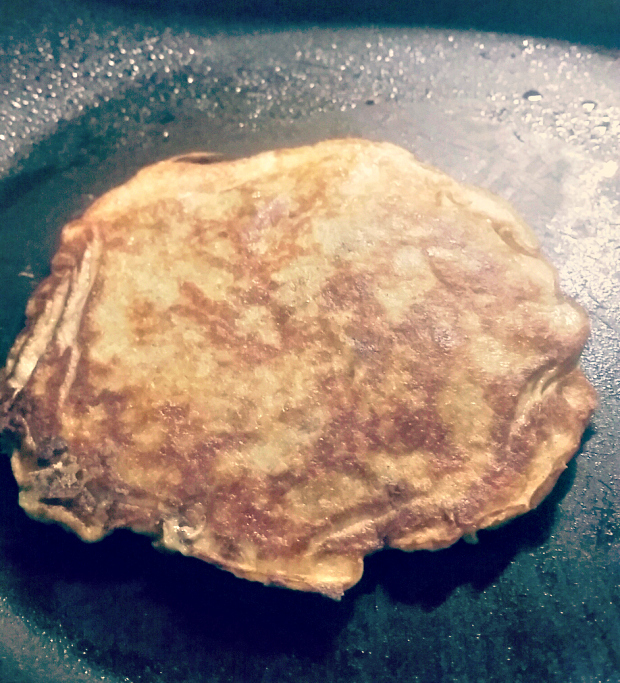 Warm non stick pan to medium, spray with coconut oil. 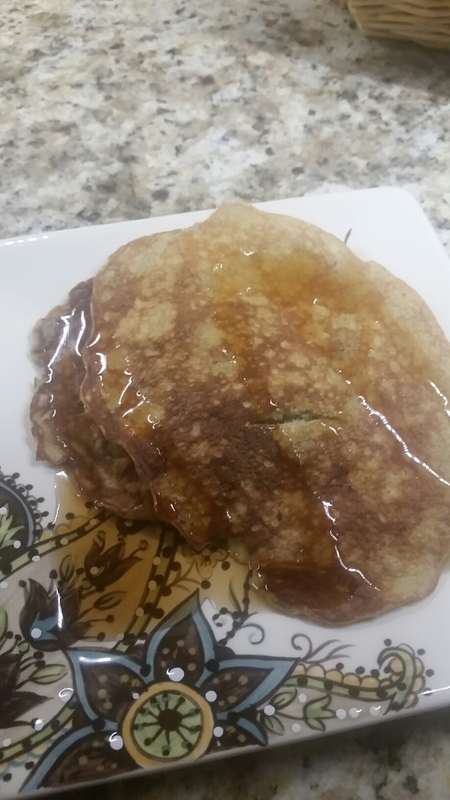 Cook silver dollar size pancakes 1 minute seconds on each side and serve with syrup or fresh fruit. 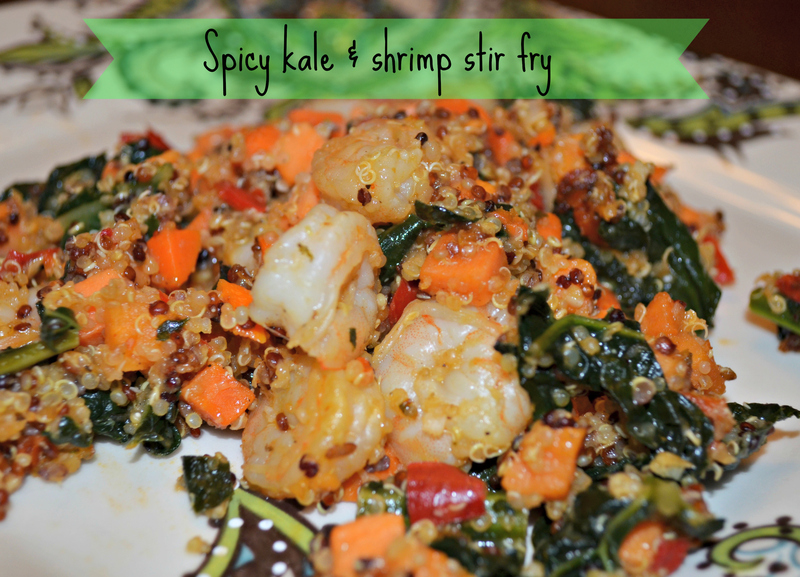 The spicy cravings during this pregnancy have continued and this dish satisfied the need for spicy yet is packed will vitamins with ingredients like kale, veggies and sweet potatoes. 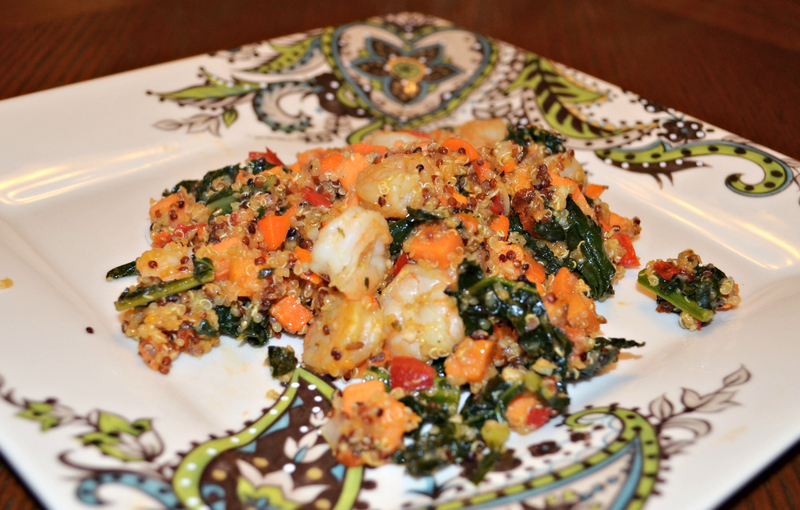 Sautéed shrimp was the perfect touch to this non-traditional stir fry. Cook 1/2 cup quinoa as directed. In a large pan over medium-high heat, heat 1 tsp coconut oil and cook 10 oz peeled, shrimp until done and set aside. 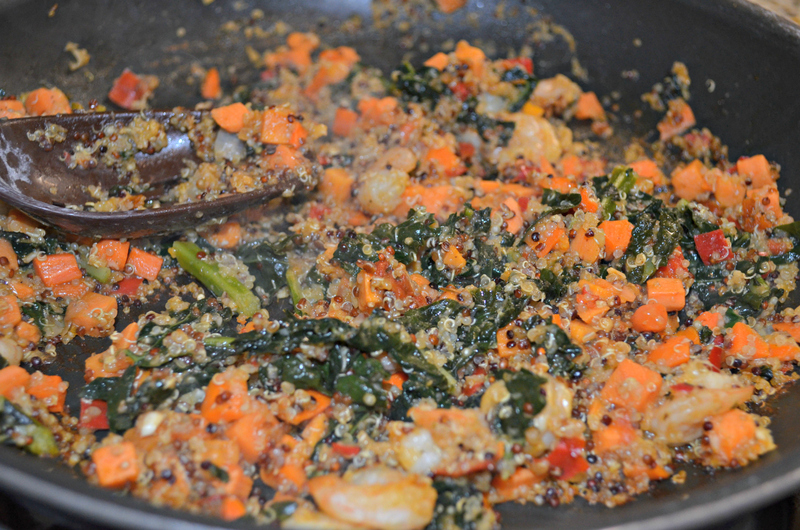 Return pan to medium-high and add 1 tsp coconut oil and chopped cooked sweet potato and kale. 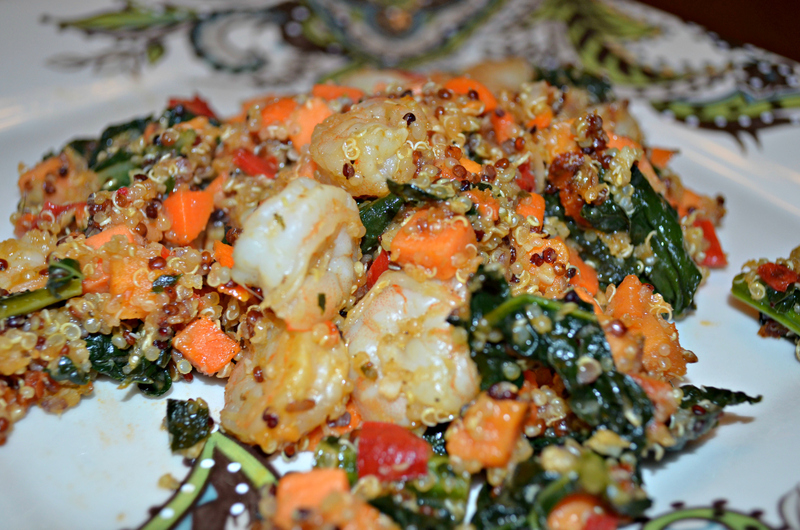 Add remaining quinoa and shrimp to the pan, along with 1/4 tsp hot sauce. Cook, stirring, until hot, 3 minutes. Enjoy! I have been consistently craving spicy food during this pregnancy. Since a lot of spicy food translates into deep-fried or high-fat, I decided I wanted something healthy yet spicy to snack on. 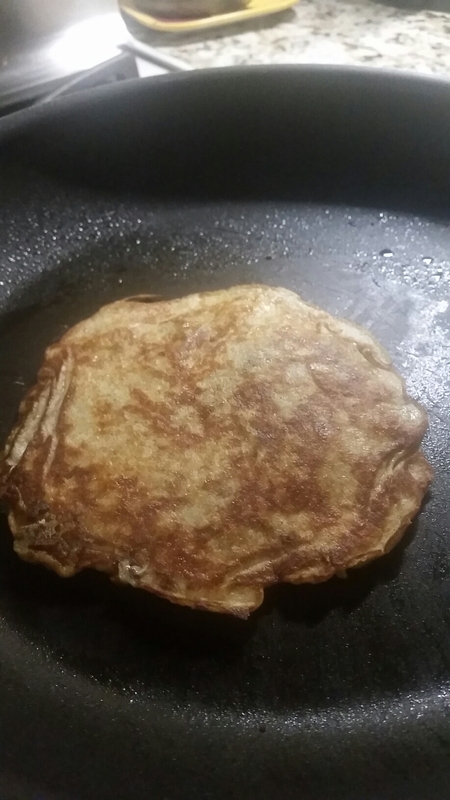 My first thought of was that cauliflower was not going to satisfy my craving, however I was pleasantly surprised. Hope you enjoy (guilt-free) as well! 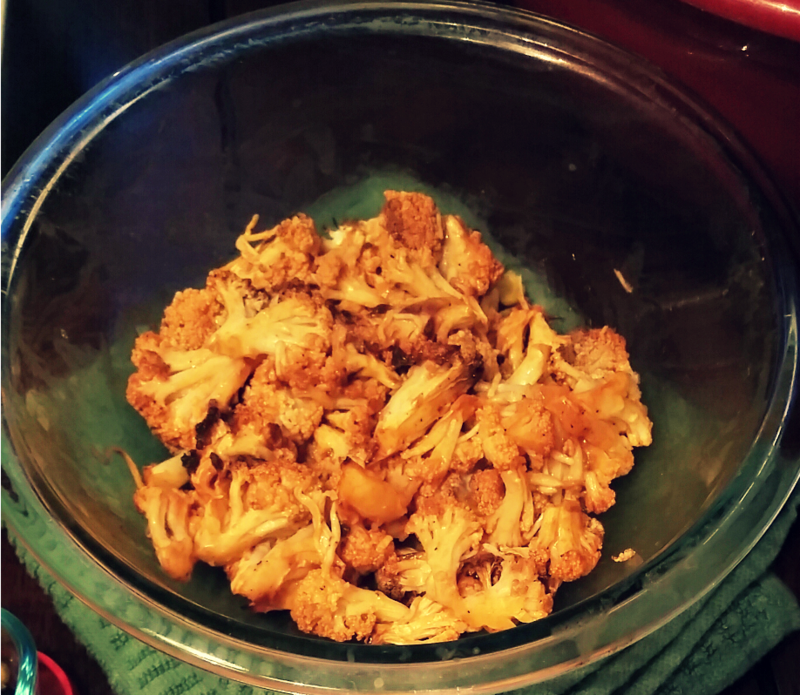 1.Preheat oven to 450 degrees and place cauliflower on a baking sheet greased with cooking oil or olive oil. 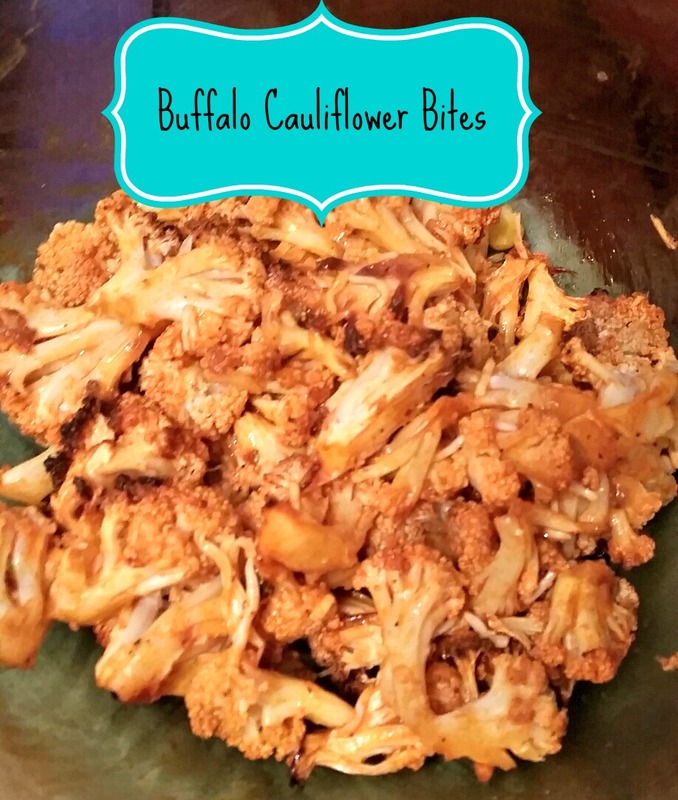 2.Sprinkle garlic powder, salt, and pepper over the cauliflower florets. 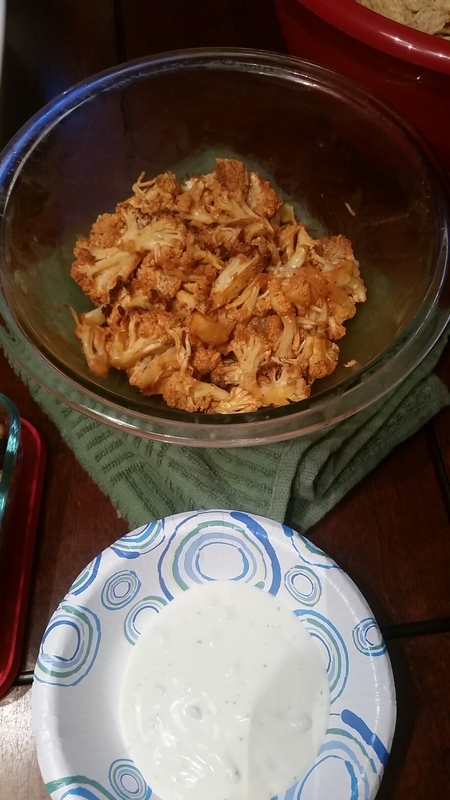 4.Combine the melted butter and hot sauce into a small bowl and pour over the cauliflower. 5. Bake for an additional 5 minutes. 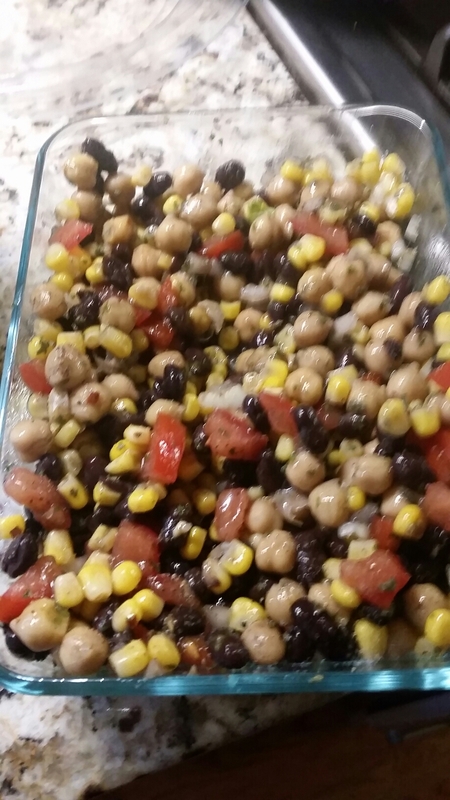 6 .Serve with ranch or blue cheese dressing along with carrots and celery sticks. Here in CT, we are expecting a good ole’ nor’easter. 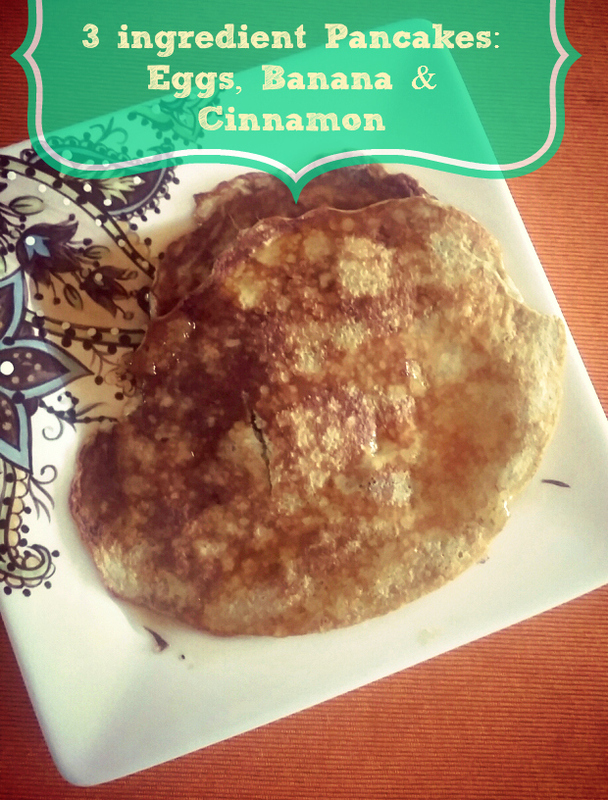 One of my favorite things to do while snowed in, is try some recipes that I normally have no time for and snack while watching movies. 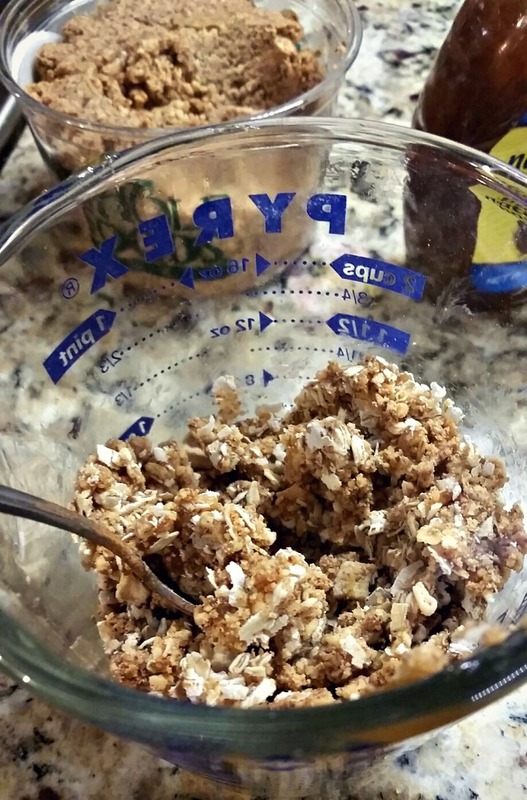 These almond butter protein bars are so filling and make the perfect snack or breakfast. I had no chocolate chips so this version is sans chocolate but you can always add in some yummy dark chocolate chips for a little extra sweet flavor. 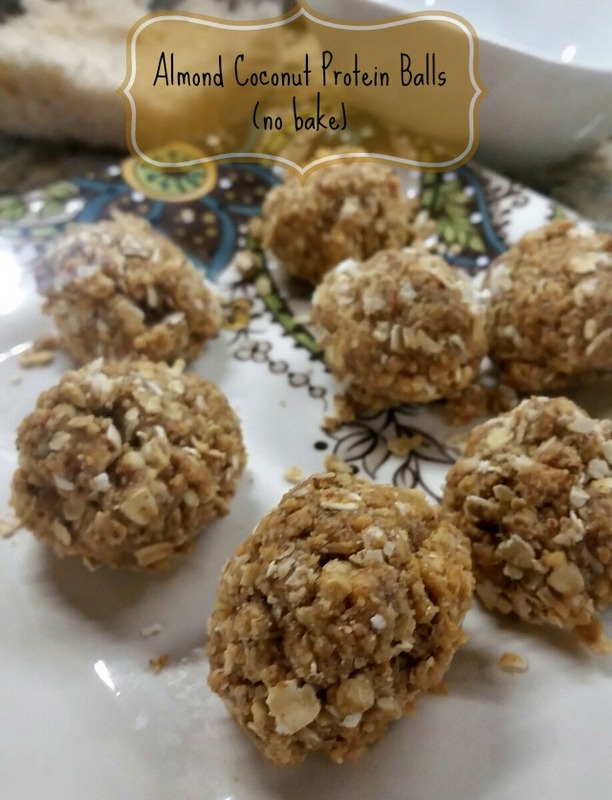 Best part is, they are also no bake! Mix until ingredients are well combined. You can use your hands to form the mixture into balls. Should make between 10-14 balls. Place on a parchment paper lined baking sheet and refrigerate for about 20 minutes, until balls are firm. Eat immediately or store in a air tight container in the refrigerator. Enjoy!